Rated Portsmouth’s Best Sandwich Shop for 7 years featuring quality Boar’s Head meats and cheeses. Googie’s rated Best in Portsmouth by Seacoast Media Group for 7 years! 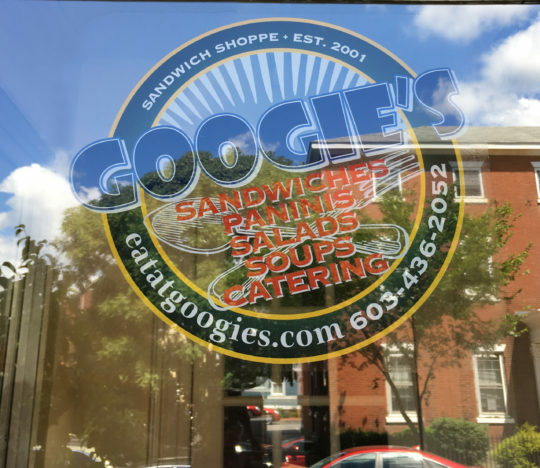 For small or large gatherings, Googie’s will satisfy the hungriest crowd! From small craft brews to the classics, Provisions’ award-winning selection will quench! Easily the best downtown market for locals and visitors alike. 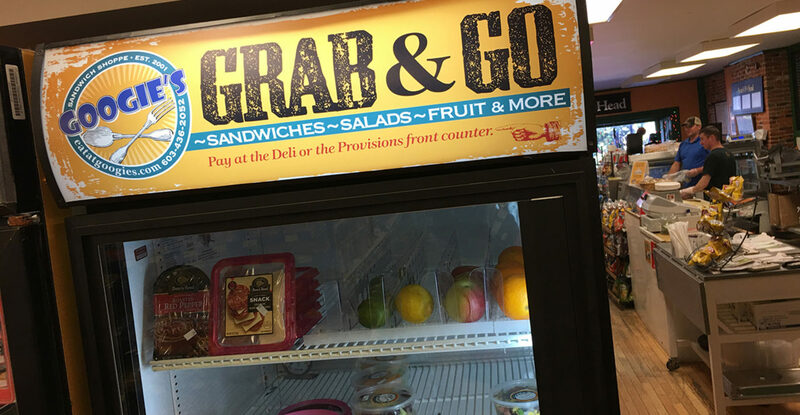 Best sandwiches in town (sorry Moe’s — you’re a classic, but sometimes I need more variety). From the Italian to the Gobbler, the Bullseye to the Rooster Wrap, there’s a million great sandwiches to try here. It’s a perfect little cafe with a convenience store connected next door in case you need to grab some beer or candy. Give it a try for lunch next time you’re in town. Terrific little store. Allowed my puppy to join me. I ended up spending about 10 times more at the shop because they gave my dog some biscuits. Just shows that it pays to be dog friendly. Nothing beats my hunger better than a Googie’s Buffalo Chicken Wrap! Loaded with chicken, lettuce, and tomato. But the real taste clincher is the crunchy bits of celery and the spicy blue cheese dressing. My mouth waters every time! Provisions has saved me so many times, I can’t believe I never thought to review it before. It’s right around the corner from our apartment, so when my husband was grilling up some (humane) hot dogs and we realized we didn’t have mustard, he managed to run to Provisions and back before the dogs were even done cooking. They also have a GREAT beer selection. Not just good. Especially for a small bodega, the beer is a real highlight. I mostly drink cider, and they have four or five good options on the shelves at any given time. 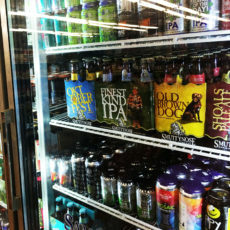 They also have tons of local beer (Smutty, Red Hook, etc) and the cheap watery stuff as well. The wine selection could use some help, but it’s forgivable. Always a great experience every time I go. Friendly and fast service, fresh and delicious food, all at a fair price. Worth a visit if you don’t know where to go for lunch. I’m not much of a sandwich or wrap girl so I don’t have a ton of places to compare them too, however their food is always fresh and delicious when I’ve gone. They use Boar’s Head meats and load their wraps/sandwiches up pretty well. 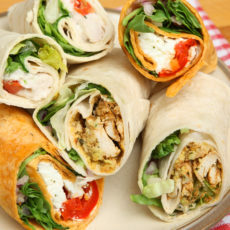 I love the Cajun Sunshine wrap with the cajun turkey! The best thing about them though is they are one of the very few places downtown that will deliver, and they do so very quickly! Googie’s has become a total staple for our office, I’d say we order almost once a week. 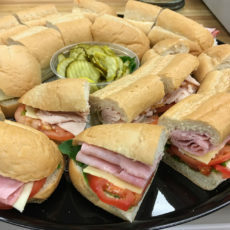 From specialty sandwich platters and salads to Googie’s Party Size Subs using premium meats and cheeses from Boar’s Head, we can feed your small or large gathering. Additional custom catering options available.